I have been thinking so much about fear lately. So many professing Christians seem to be consumed with it. Specifically, the fear that ensues when one’s pride stands in the way of the Lord’s peace. But honestly, I can see why so many live within a constant fear. Here is my personal testimony of why I once had. When I began to view the very delipidated path of my own making, before my acknowledgment of the Lord, I noticed all of those things that were wasted. I saw a need for something outside of myself. I had been the one who laid all of this devastation out along the very long road of chaos. I looked along that dark path and viewed all that I had chosen. As I began to see just how much damage I had caused, fear began to take hold. Deep, penetrating fear. How in the world was I going to fix all that was broken? How was I going to survive a new road? Looking back at my own history of failure along this path of waste gave me very little hope. I feared the move forward. I was probably going to lay a new road with even more troubles than the one before. Since I now had a burning desire to change, I tried religion. Sunday dress. Taking my Bible to the building and listening to a preacher tell me just how loving Jesus is, while at the same time just how wrathful God is. Even the preacher was smug and confusing, much like I had been and felt up until that point. One day, nice and pleasant. Next day, yelling over lack of money, or upset because his followers were not doing things as he had instructed. He had a lot of issues within himself, like myself. As I moved forward within that church, then the next, and finally, within the last one, I was so encompassed by fear that my whole life (my life, my family’s and my interaction with friends and acquaintances around me) began to crumble. Not only did I fear failing God, but I also feared failing a single man labeled as the pastor. A single, controlling, mentally disturbed man who obviously had some psychological issues that needed to be addressed. I took my unhealthy fear of the Lord into every room that I entered. Everyone was going to die and go to hell unless they straightened up and stopped sinning. Period. 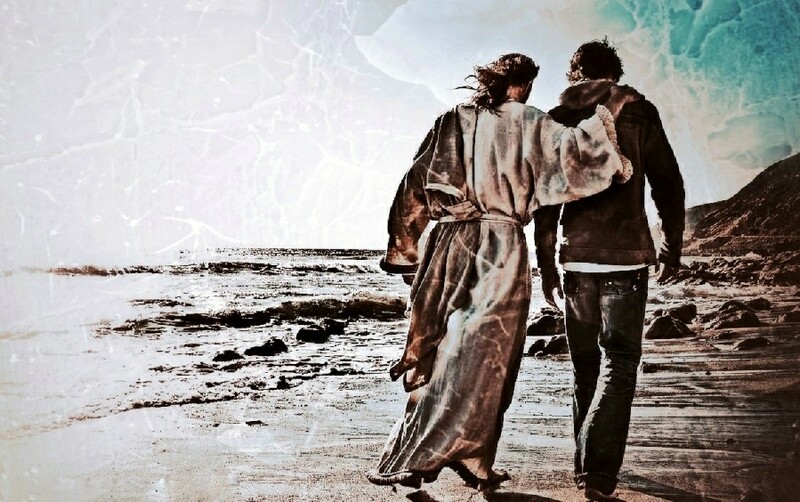 I ran off so many people by acting as if I was without sin, or at least with very little sin, and believed that my example was the one that everyone should follow. I viewed myself as trying harder and doing better than most. Damning Facebook posts, talking about the absolutely necessary work one should be putting in (tithes, church attendance, scheduled fellowship, daily reading of the Bible, self-discipline, having the instant mind of Christ and obeying every word of His Word), was one of the ways I would represent a very misunderstood God. I would talk down, much like my leaders within the pulpits, to my family, friends and sometimes complete strangers. Long story short, I was telling everyone that they MUST FEAR GOD!!!! That’s what religion did to me. It culminated fear like never before. I soon looked around and noticed that everyone, including my wife, was gone. Everyone had left me, and thank God they had. It opened up a new door. There was enough conversation between myself and those whom I had respected deeply that made me realize just how unhealthy my fear of the Lord had become, and it was because of this unhealthy fear that I was now alone. It was a wakeup call. It was the beginning of the fear of the Lord which brought wisdom (Prov. 9:10). For the first time within my journey with the Lord, I began to slowly realize how a healthy fear of the Lord should be sought and also how my unhealthy fear was doing nothing but feeding my pride. It was destroying my relationship with God. It was negating the love that our Father poured out when Christ was offered as the sacrifice for my sins. Too many misunderstand what the fear of the Lord is. They use it, as you described, to basically terrorize people into believing what they want them to believe. That never works in the long-run though. I look forward to reading the rest of this when you post it. I believe it speaks to a lot of people. My intention is not to judge everyone’s experience, but just to show what an unhealthy fear will do by sharing my own experience. I will finish when able. Enjoy your day bro! No, you didn’t come across as judgmental at all. I appreciate your openness and how willing you are to share your experience. Blessings to you, bro!